If you’re planning a holiday to Byron Bay for Christmas – and we hope you are – then you’ll need to figure out how to best celebrate the holiday in a different environment. The bonus is that you’ll have an amazing background with which to create your family’s Byron Bay Christmas cheer. From beaches to hinterland, Byron Bay offers an ideal place to spend your holiday. But what about bringing the holiday traditions from home? What about the lights? The tree? The gifts? Well, we’ve got ideas for you; in fact, we’ve got more than ideas, we compiled a list of 10 hacks for camping at Broken Head Holiday Park this Christmas. We hope these ideas help make your camping holiday not only memorable, but also create a fun time together as a family. Feel free to bring along Christmas decorations to make your campsite or beach cabin more festive. If you want to hang lights, be sure you packed outdoors lights and be careful how you plug them in and for how long. Hopefully, you packed them using this particular hack — wrapping them around a hanger to keep them from getting tangled. It makes it so much easier to undo the lights when you get there for decorating, and much quicker to pack up when you leave. Also consider stringing garland or other decorations on and around your tent or cabin to add to the holiday cheer for your Byron Bay Christmas. Whether you actually bring along a small tree (fake or real) or perhaps you take our idea here, you will certainly be showcasing that holiday spirit. There are lots of ways to make it easy to decorate your tree at the campsite that doesn’t including toting along your entire ornament collection. You could try burlap wrap, a bow on top and some lights. Or you could skip the tree altogether, and go for a fun alternative. Bring along a tomato cage and then turn it upside, decorate with lights and all of sudden you’ve got a tree. Don’t worry about losing the ability to play that Christmas music when you’re on a camping Christmas holiday in Byron Bay. That’s what Pandora, Spotify and other streaming services are for! Just make sure you bring along your chargers for your phone and/or iPads, and you’ll be all set. 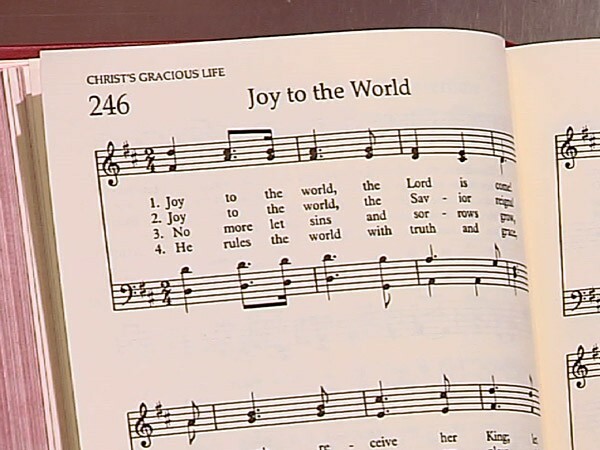 Plus, you can play it to help a friendly Christmas carol sing along! First off, keep in mind that the best present has already given to you and your family: a memorable, fun, relaxing Christmas in Byron Bay that involves hanging out on the beach, swimming, maybe some surfing, hiking and good food. However, if you’re looking to wrap up a few last minute gifts you nabbed when family members weren’t looking, then consider this Christmas hack: Bring along double-stick tape. This tape will help create secure, flat edges. 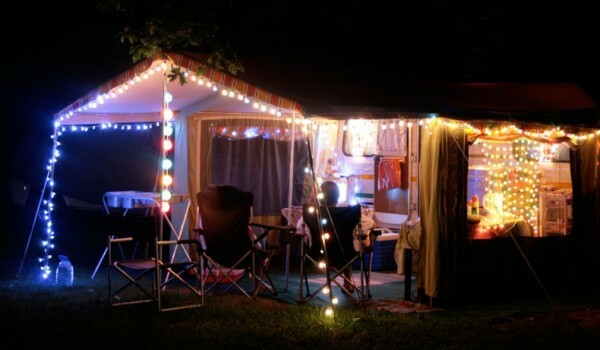 Bring along a tradition to your camping holiday by doing a little planning ahead. Most everyone loves the delicious treats that are served up during the holiday season, and you can still have these treats if you do a little work ahead of the holiday. Bake and store holiday shaped sugar cookies with wax paper in Tupperware containers and pack them up for the trip. Then be sure to bring along all the ingredients for the icing (or purchase them at the store) and keep things mess free by putting the icing in squeezeable condiment containers. The kids can still have a blast decorating, but there won’t nearly the mess you’d normally have with this process. And the best part: You’ll probably make some good campsite friends if you share! Make a new tradition by bringing the pieces of this fun holiday game along with you to the campsite. Your kids (and maybe even some fellow campers’ kids) will enjoy this Christmas version of pin-the-tail on the donkey. Either bring along a bulletin board or perhaps you could even borrow a tree. Hang up the antlers, eyes and mouth, then pass out the red “noses” with everyone’s names on them and see who gets the closest to the right spot. You might have so much fun with this game that you might add it to your annual list of holiday to-dos! Get festive with Dr. Seuss and spend an evening with the kids during your Christmas camping holiday to watch “How The Grinch Stole Christmas,” on the iPad or better yet bring along the book version to read aloud. 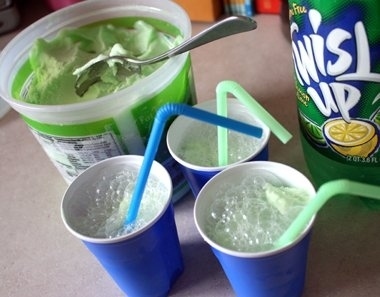 Add a special treat to the evening by mixing green sherbet and Sprite. Serve it up in red and green cups with fun straws, and your night is off to a great start. Isn’t going on a holiday to the beach present enough? Consider all the fun things to do in Byron Bay – for example, check out our post on 12 Fun Things Kids and Adventurous Adults Do in Byron Bay – and let that be your gifts to each other. Then plan to open the gifts from Santa on Christmas morning before you and your family devour a delicious Christmas lunch (see below). 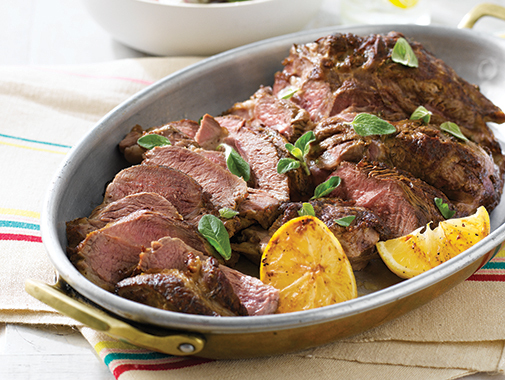 The Christmas meal is an option even if you are camping. Broken Head Holiday Park features all the tools you need to grill up an excellent Christmas lunch or dinner using local fare. Check out our facilities to see how you’d like to make your meal, even if it’s or a simple meal of grilled steaks or fish and roasted vegetables, it’s all about sharing it together as a family. The best Christmas hack? Letting someone else do the work. 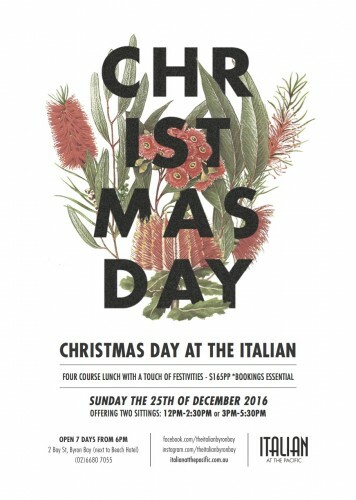 Check out our other post about Christmas events to see some places that serve up Christmas lunch. 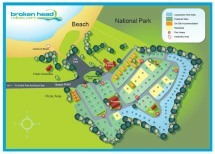 Make plans now to spend your holiday with us here at Broken Head Holiday Park. We promise you sun, sand, swimming, surfing and many other Byron Bay activities! Going on a Christmas holiday together as a family is an amazing way to stay connected. We’re already in December so don’t delay in booking your stay!